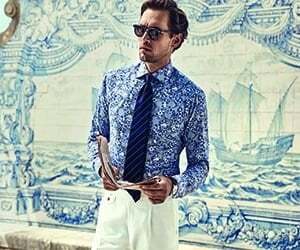 Etro Navy Shirt with Multi-Colour Paisley Pattern. This spectacular piece of design-work from Etro, once again signifies another step in incredible shirt-manufacturing. handmade in Italy and made specifically for you.